1. Show the troops that you do care about the little details. 2. By checking on the little details you can also ensure that the larger goal is being taken care of. Are you paying attention to the details? Do you know what you are going to check? As we move forward in the new year, please keep your eyes on the summit of the mountain, but make sure you are paying attention to the details so that you don't trip during your climb. 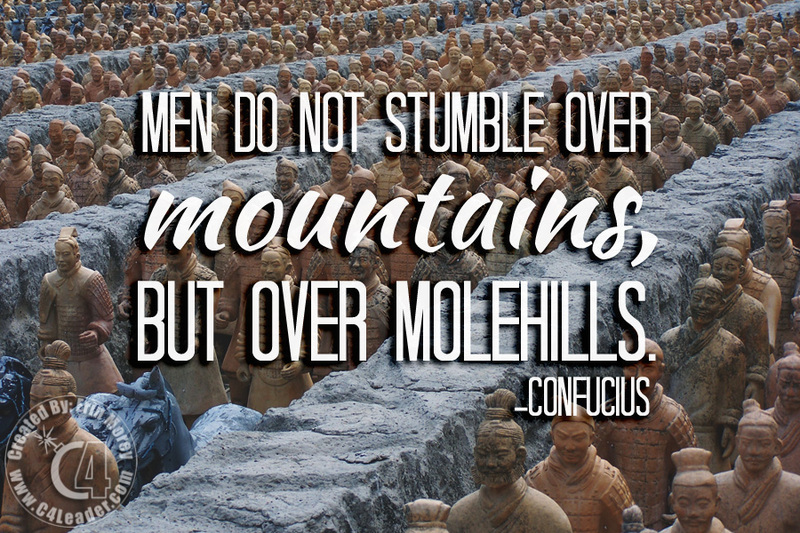 Confucius was a Chinese teacher, editor, politician, and philosopher, who was known for his wisdom and often credited with many different quotes and turns of phrase, as well as many of the classic Chinese texts. 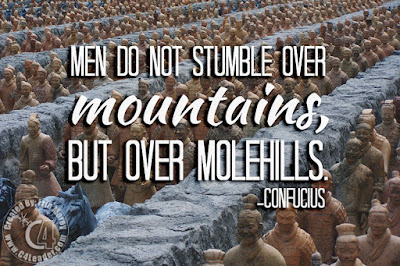 Founder of Confucianism one of the major philosophies of the Far East. The picture is not of the Terracotta Warriors of China, but instead an outdoor museum off of Texas Highway 99 in Katy Texas (near Houston) called the Forbidden Gardens. The Forbidden Gardens had a 1:20th scale replica of the Forbidden City and the Terracotta army in 1/3rd scale. Sadly the Forbidden Gardens closed on February 21st 2011 to make way for the Grand Parkway Expansion.